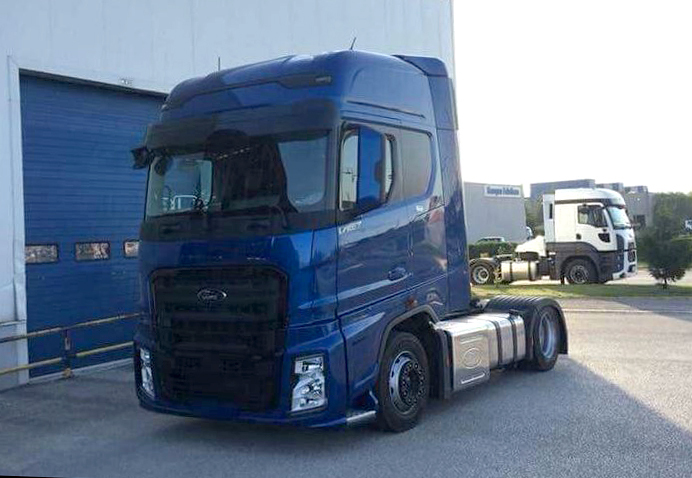 This is the first photo of a new highway Ford truck, which will be assembled in Turkey. The tractor with a high roof sleeper cabin is photographed without camouflage. The cabin design looks modern, but it can be seen that the Volvo style had a strong influence on it. We have no info about the driveline and chassis but they seem to come from Iveco. The new Ford will be revealed at the IAA 2018 in Hannover.